Bag: Salvatore Ferragamo, runway: Vivienne Westwood Gold Label. 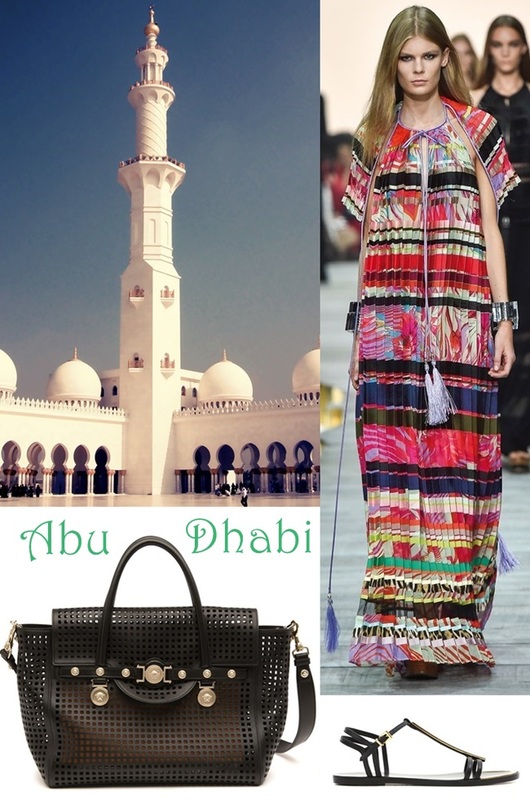 Runway: Vivienne Westwood Red Label, bag: Etro, sandals: Roberto Cavalli. 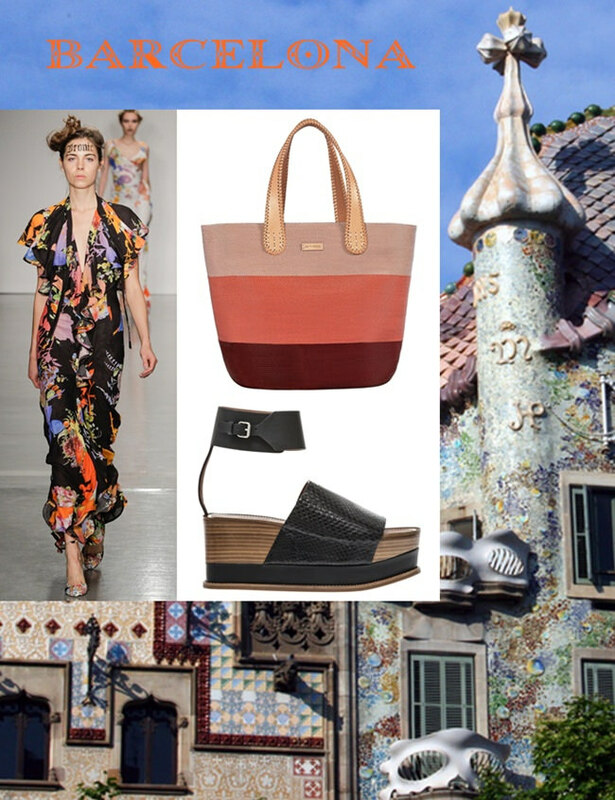 Bag: Salvatore Ferragamo, sandals & runway: Etro. Runway: Jenny Packham, bag: Salvatore Ferragamo. 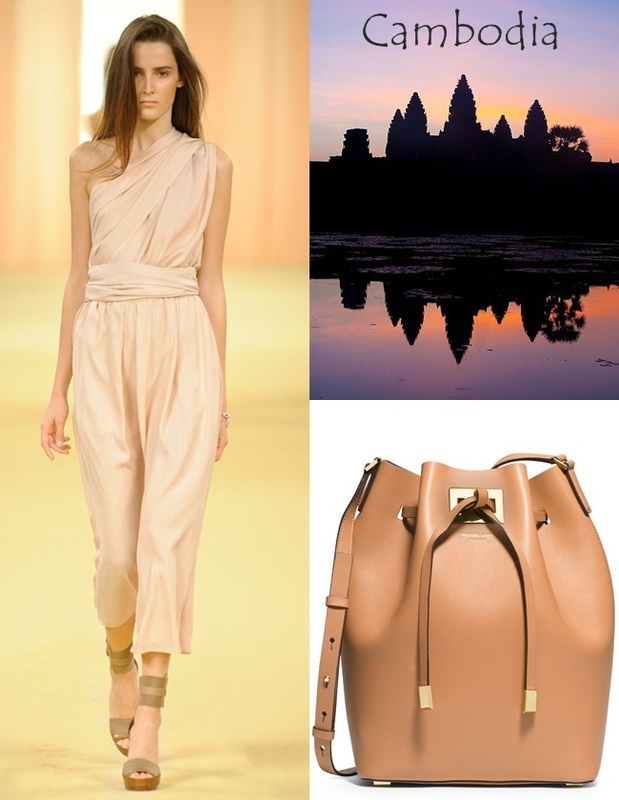 Runway & sandals: Roberto Cavalli, bag: Etro. 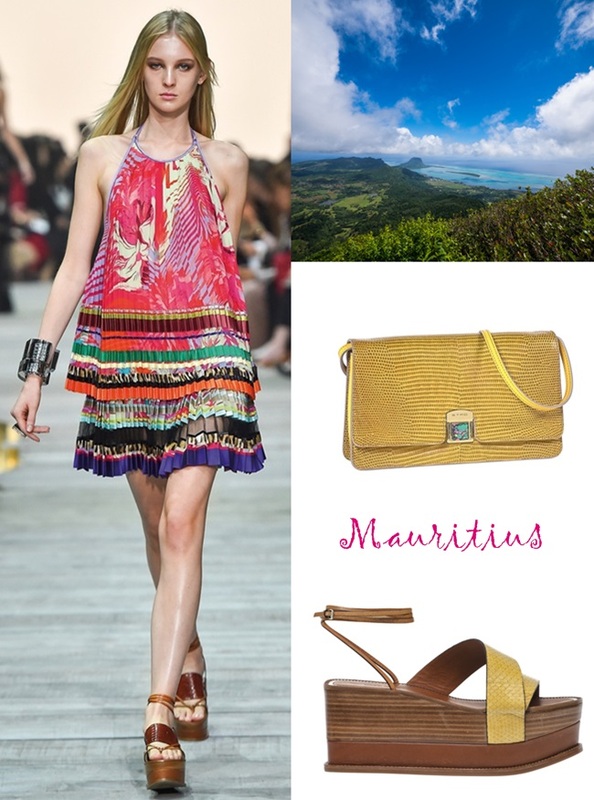 Sunglasses: Karl Lagerfeld, sandals: Etro, runway: Jenny Packham. Runway: Hermès, bag: Michael Kors. Cuff & shoes: Salvatore Ferragamo, bag: Miu Miu, runway: Hermès. 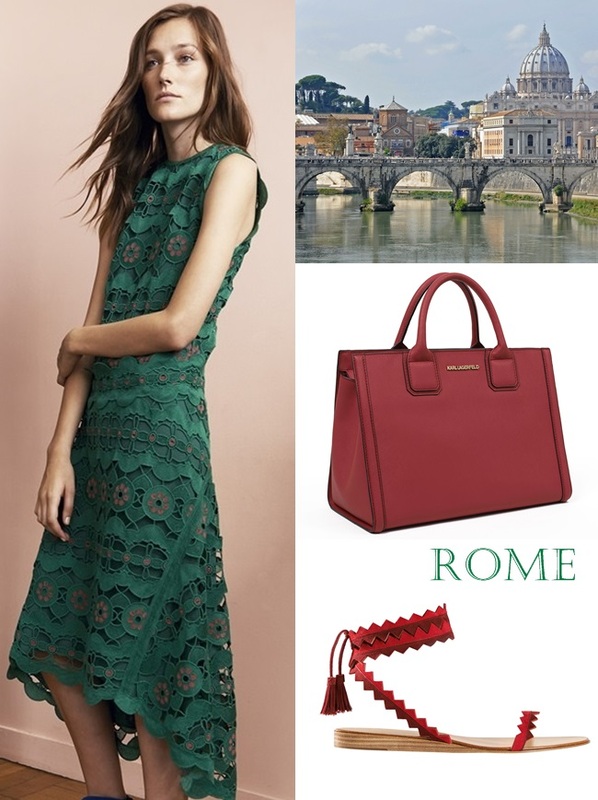 Bag: Versace, runway: Roberto Cavalli, sandals: Balmain. Dress: Chloè, bag: Karl Lagerfeld, sandals: Etro. Picture Credits: Runway and still life photos are property of the respective brands. Destination photos are property of the following photographers; Capri: Marlis Börger, Barcelona: Bert Kaufmann, Marrakesh: Martin Varsavsky, Corsica: Lori Branham, Mauritius: Ludovic Lubeigt, Maldives: Neville Wootton, Istanbul: Harold Litwiler, Cambodia: Christopher Michel, Abu Dhabi: Nelson Ebelt, Rome: Javier de la Rosa. What is your favourite destination and look? love the selection! giving me some great inspiration! Love this post! very inspirational to me!